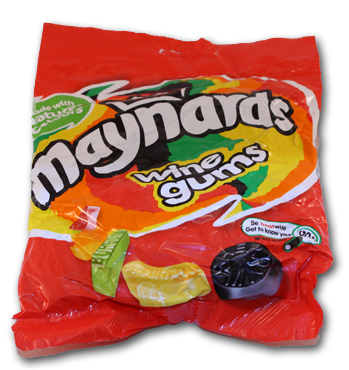 Home » 5 Freshest » Maynard’s Wine Gums : An Un-Reviewed Classic! Why didn’t you guys say anything? All this time Matty & I have been writing reviews, and we forgot to review Maynard’s Wine Gums?! This CANNOT STAND! First, let’s get the obvious out the way. Yes, these are made with a high concentration of wine. If one eats more than 8-10 pieces, it’s all lampshades and regrettable hookups. So be careful! 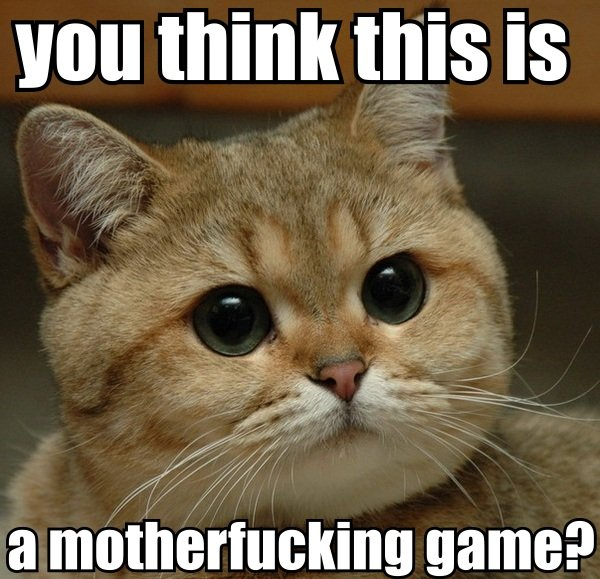 Time to get serious-kitty serious. NO. There’s no wine in these. According to the Wik, traditionally the gums come in five shapes: kidney, crown, diamond, circle and rectangle, and are labelled with five names: port, sherry, champagne, burgundy and claret. While that might be the tradition, a lot of manufacturers take liberties with that. Not Maynards so much. 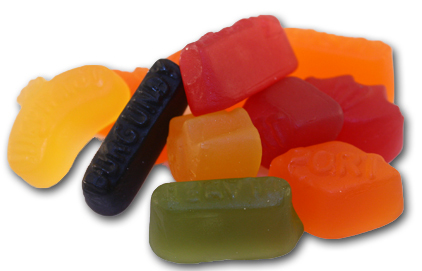 There’s two stories about why Tom Maynard (no, I’m not making this up) decided to call these “Wine Gums”. The first is to make them an alternative to people consuming alcohol. The more likely though, is the theory that these new candies were so damn good, they should be appreciated like fine wines. Truth bee told, I like them more than wine. A lot more. But I’m a bourbon man anyhow. Either way, these are something special. You can sort of liken these to gum drops or pastilles. Not stretchy like a gummy, you can take a bite right out of these. They are chewy however, with a great mouth feel-not sticky at all. Flavor -wise, these are champs. The black currant is my fave, but the other flavors just have a very “real” edge to them: lime, raspberry, orange, and lemon. Some varieties have a clear flavor which I think is pineapple, but not Maynards as far as I’ve seen. Maynard’s make these in the shapes you see above and in “every piece is the same circular disk” shape that they sell in rolls. I’m sure it’s all in my head, but I like these more, the original shapes. Check ’em out for yourself with the link below. Are these made with acetic acid/vinegar? I’ve always thought that was a bit of an unappealing ingredient in candies. Love these. The mouth feel is amazing, chewy and tasty. Never heard of them when I lived in England in the late 60s and early 70s.